Shami kebabs are nibbles just made for party snacking. And as it’s that time of the year, when we ditch our size zero diets and eat like pigs on speed what better than a super easy, super moreish kebab to tempt our overactive tastebuds? 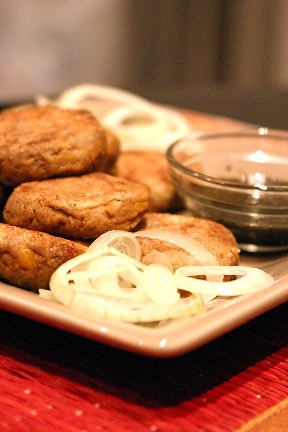 Shami kebabs are from that staple house of Indian cooking known as Mughlai food. 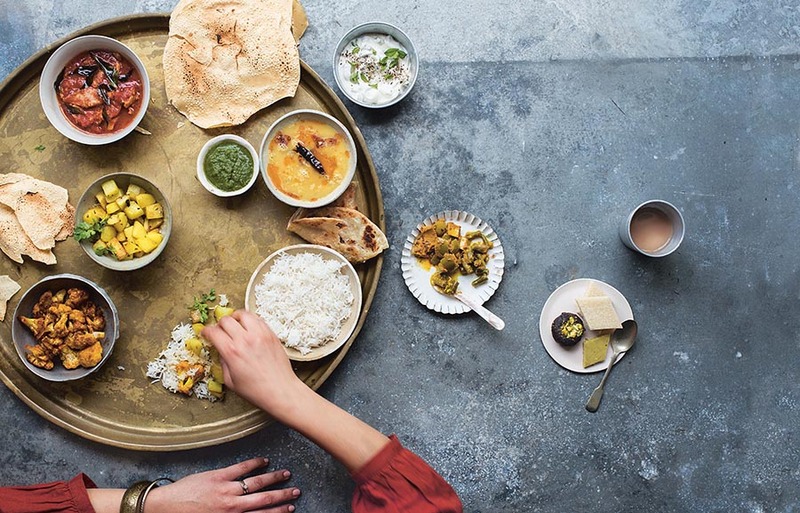 Handed down from the Moghal Emperors who ruled India yonks ago, it is a rich and luxurious style of muslim cooking ever-popular in India. My recipe made about 12, which hubby and I went through in seconds. The best thing about these is that you can make them in advance and reheat in a microwave when ready to serve. Always have them hot though. Soak the chana dhal for at least an hour before you start cooking. Heat 1 teaspoon of oil, and fry the onions, then ginger and all the whole spices (bay leaf, cardamom, cloves, cinnamon). When the onion starts going translucent, add the mincemeat, chana dhal and all the other masalas and the chopped green chilli, and stir viciously until the meat is brown all over. Now add the water and boil until the chana is cooked (you will know when it’s soft and squidgy to taste) and the water completely evaporates. Leave the mixture to cool slightly. Then add salt to taste and grind it in a food processor. Don’t worry if a few pieces of channa dal are whole, this will only add character to the kebabs. Now take meatball size amounts and shape into flat discs. Heat the remaining two teaspoons of oil. Then dip each side of the kebabs in the beaten egg and shallow fry in batches until golden brown on either side. These are great with mint chutney and tomato ketchup. alka rocks. now for some vegetarian recipes….! These look simply delicious!! A perfect treat for those late-night parties. Great looking dish there Mallika! Mouthwatering too.I have been baking cookies,cant stand the smell of sweets anymore! :)) Nice change to see these. thanks. Love these kebabs. Good you have the recipe right here, else everytime I make this I have to call up a North Indian friend of mine. I love those Shami Kebabs…We used to have them in India but, never tried it here. Will definitely try it now. Thanks for sharing. Hi Malika – you motivated me into blogging – blogging instead of working! What a great shami kabab recipe – Tayyabs only do them for Wednesday afternoon! I made these last weekend and they were an absolute hit although they kept falling apart and were more shammi than kebabs! I think I amde each one too big to handle and didn’t let it all cool enough before making it into patties. I am aiming to try this again this friday. Hi 30in2005 – the trick with these is to really dry the meat and make sure all water is evaporated. Also, yes, small is beautiful with these. Good luck! They’ll be perfect next time don’t worry. You might be a cook Mallika but after reading a few of your recipes, I could not help but noticing that your English is very poor. If I were you, I’d hire an editor to correct all your grammatical mistakes before publishing it. Thanks for your comment and suggestion. Funnily, my awful English wasn’t an issue with the major global publisher, who has recently signed me on to write a whole book. Also, it’s “correct your grammatical mistakes before publishing them” while we’re on the subject of writing. Thanks for sharing. This is very delicious testy recipe. maybe I`ll try it on next Tuesday. Thanks. @ Arti, “could not help but noticing’ Seriously, where did you get youe “english” from?